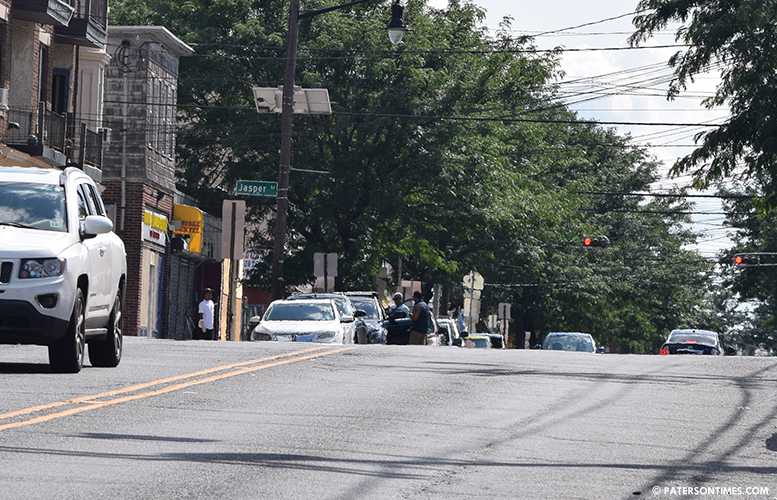 The section of Union Avenue that was the site of a double shooting last week is described as a “breeding ground for criminal activity” in a statistical report issued by police to justify the expansion of the business curfew to the area. Police backed up the assertion with data. Since 2014, there were 15 shootings on Union Avenue between Kearny Street and Redwood Avenue. Five in 2014, including a homicide and a non-fatal incident; five reports of shots fired in 2015; none in 2016. Two in 2017, a non-fatal and report of gunfire; three in 2018, so far, including one non-fatal incident. Quality of life complaints have skyrocketed in the area. There were 36 calls for service in 2016. In 2017, 35. In 2018, so far, 54 calls mostly complaining about gangs, people with drugs, gangs with weapons, and loud noise. Chaudhary did not favor or oppose the business curfew designation. He called for more police presence in the area. His business won’t be affected by a potential business curfew, which requires businesses in high crime areas to close at midnight. Victor Gomez came to oppose the proposal to close businesses at midnight. He and his wife have owned the El Fogon Restaurant for 22 years. Some of the late-night businesses bear some responsibility for the current state of the area. Since 2016, Boulevard Wine Spirit Liquor, was cited 32 times for liquor license violations. El Fogon was cited one time, said Patrick Murray, head of the well-respected Ceasefire Unit, which investigates non-fatal shootings. The council is divided on whether to designate the area as the city’s 19th hotspot zone. “We’re not in the business to close down businesses,” said council president Maritza Davila. She said the problems are on the street and not inside the establishments. She was surprised when police mentioned the restaurant and the liquor store were cited 33 times since 2016. Before he became the chief, Oswald was the head of the Narcotics Unit. He recalled an incident from two and half years ago. One night, after 10 p.m., he went inside Boulevard Wine Spirit Liquor, to check the store’s employee list. Customer after customer came in to buy hard liquor after 10 p.m., indicating it was common for patrons to purchase liquor after the legal hour. The business did not sell liquor in his presence, he said, so it was never issued a violation. Boulevard Wine Spirit Liquor was given a 12-day suspension for selling hard liquor after 10 p.m. in 2015. On November 22nd, 2014, the business was cited for three instances of after hour selling, according to ABC records. “We’re not enforcing the laws in the books. A lot of people do whatever they want and nothing happens,” said Flavio Rivera, councilman at-large. He said the gang hangouts and other quality of life problems occur throughout the day, before midnight. “When businesses are not doing the right thing, they have to be held accountable,” said Michael Jackson, 1st Ward councilman. The area in question is within the 1st Ward. He suggested the city needs to act against troublesome businesses, but not punish every establishment in a particular area by forcing them to close at midnight. The chances of another shooting in the area is high. “We will have another shooting in this area,” said Oswald. “The blood is going to be on our hand in the next shooting,” said police director Jerry Speziale. “It’s like the bees. If they see sweet, they come. If they don’t see the sweet, they leave,” said Luis Velez. He said some of the troubled late-night businesses in the area are attracting trouble makers. Murray said interviews after the double shooting has revealed the trouble makers are attracted to the area by the availability of hard liquor after 10 p.m.
“Once they shut down it’s quiet,” said Ruby Cotton, 4th Ward councilwoman, referring to liquor businesses in hotspot zones. Cotton said the business curfew has worked in the 4th Ward and elsewhere. The first year the business curfew took effect, police registered an almost 80-percent drop in non-fatal shootings in designated areas. Police describe the hotspot designation as a tool to combat crime. When businesses are forced to close at midnight, it deprives mischief makers of a base. Some use the businesses for food, for bathroom, and other needs. When that is taken away, they cannot hang out for hours on end, said police. “It’s proven it works,” said Mimms. The Corner of Jasper and Union has been bad since 1970 and the City has had plenty of time to do something. The only person that ever didn't anything was Mayor Graves, but even he had to throw in the towel !!!! The Corner of Jasper and Union has been bad since 1970 and the City has had plenty of time to do something. The only person that ever did anything was Mayor Graves, but even he had to throw in the towel !!! !